Today: Lindsey Love of Dolly and Oatmeal gives spring's most enduring green its due -- and us five dinners to make, stat. I used to think of spinach as one of those underwhelming, ubiquitous green vegetables, prepared only one of two ways: used as salad greens or simply sautéed with garlic and oil. As I got older, I became increasingly aware that what I thought was an underwhelming vegetable is actually quite beautiful, and tasty, and lends itself to all sorts of dishes. While it’s available throughout the year, spinach is best in the spring; it’s one of the first greens available at the markets, and usually one of the last to leave before it closes for winter. 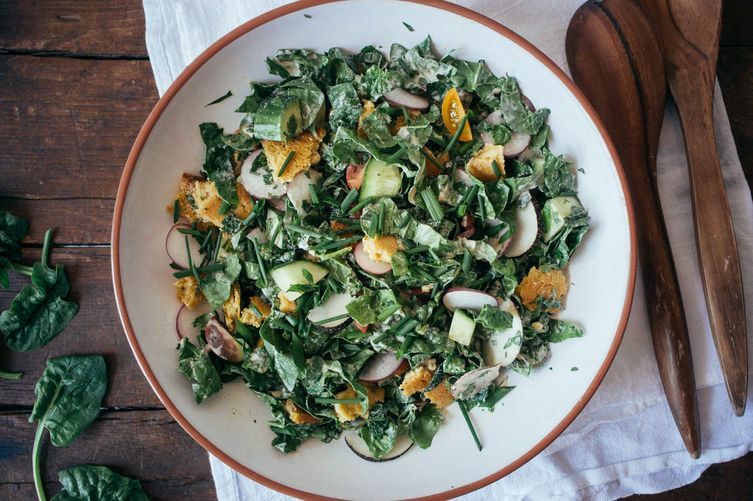 Here are some of my favorite meals to make with this nutrient-packed green. 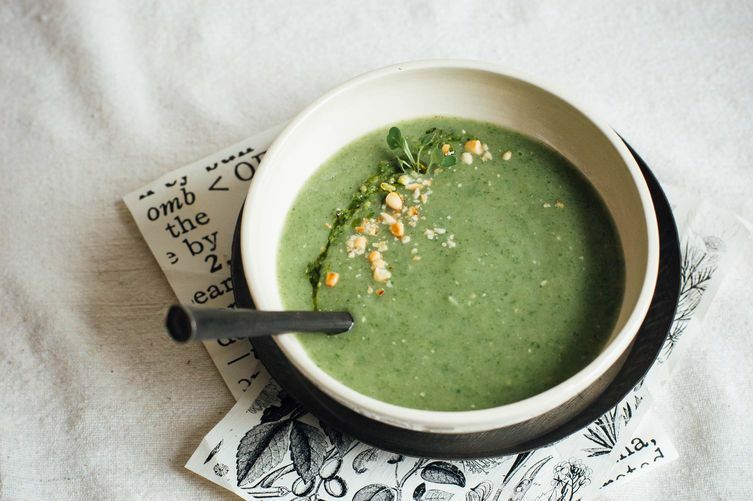 Spring soups are a favorite around my house. In this one, I love the combination of the mildly bitter spinach and the subtleness of spring alliums. The pine nuts add a few nutty notes -- and some creaminess -- while the cumin offers toastiness. One pot is all you need to bring it all together for a cozy spring meal. 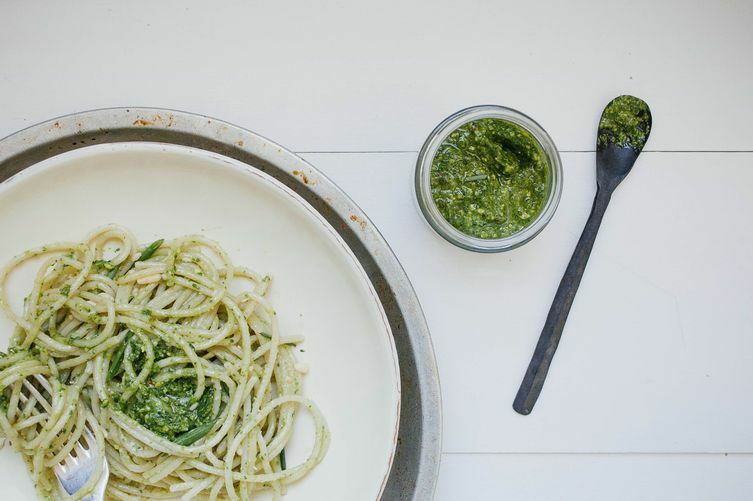 There are many greens and herbs that lend themselves well to pesto. But each spring, I find myself coming back to this spinach and chive combination; it’s hearty and light all at the same time, plus the pistachios give its flavor a bit more depth. Pair it with your favorite pasta, slather it over vegetables, use it as a dressing, or try it on any pizza or flatbread. 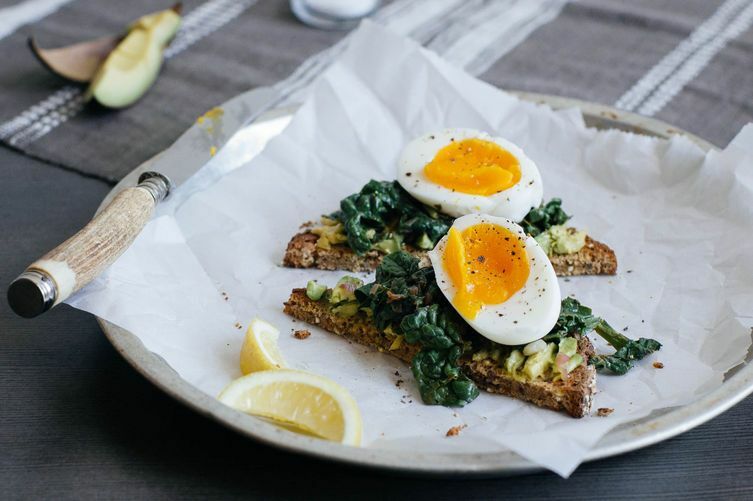 These braised spinach and egg toasts are a quick and comforting meal for any day of the week. Braising sounds a lot more complicated than it is; all that’s needed here is some olive oil, a bit of chopped shallot or onion, roughly chopped spinach, and a squeeze of lemon. Cook it up for a couple of minutes and add it to a piece of avocado toast topped with a soft-boiled egg. Go ahead, put an egg on it! Fattoush hails from many parts of the Middle East. Generally, fattoush salads are made up of seasonal, chopped vegetables, a bit of stale pita or flatbread, and lots of herbs. Here, I chose to highlight spinach in its raw form -- chopped a bit along with vegetables, a whole bunch of parsley, mint, chives, and a creamy, tahini-sumac sauce. This is one of my absolute favorite things to eat. 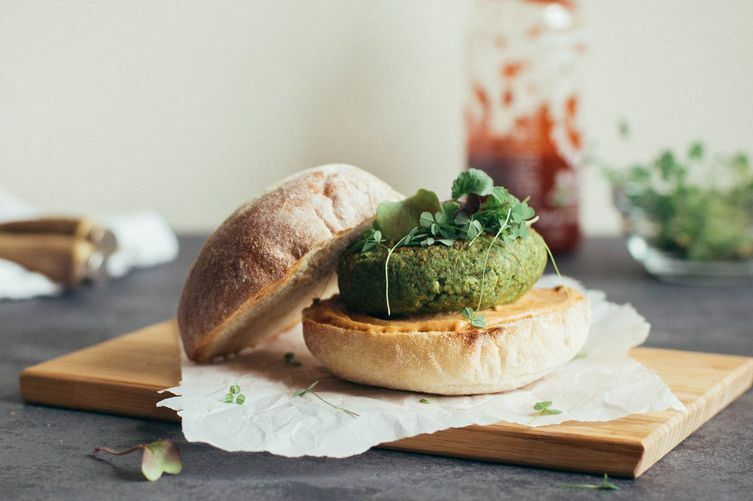 Spinach gives a veggie burger a vibrant green color, along with a bit of earthiness that’s not too overpowering. Prepare it on the stovetop, bake it in a hot oven, or cook it outside on a grill -- it's up to you. And they can be made ahead of time, too, then kept in the freezer, defrosted, and cooked whenever you're ready. The fattoush looks fantastic! Love the combination of mint and parsley in fresh salads. My new favorite way to eat spinach is a Korean Spinach salad. So good with red pepper and a ton of toasted sesame seeds. Look for a recipe. You won't be sorry. Loved this, Lindsey! The spinach chive pesto is to die for. I really should make a new batch soon! Here in Finland we eat spinach pancakes; basically you're tossing blanched, chopped spinach into pancake batter. It's enjoyed with lingonberry jam. Maybe I should write a blog post about those... We'll see! Thanks Sini! Yum, spinach pancakes - yes, please do post that soon! This is great! I'm a big fan of the chive and spinach pesto combo, but I find putting mint and ginger in the mix really kicks things up. Great post! I'm in a pesto-y mood now! wow, mint and ginger in pesto! who woulda thought. i'll totally have to try this! I was having one of those days where I was totally uninspired by food, until reading this. Gorgeousness! Thank you for the inspiration Lindsey! ever since i read somewhere that eating spinach makes you happier, i won't leave the grocery store without it! yay, lindsey!!!! can't wait to make that fattoush salad again!!! Ok adding it to my grocery list henceforth. well what's better than a green that'll put a smile on your face!? thanks, molls!